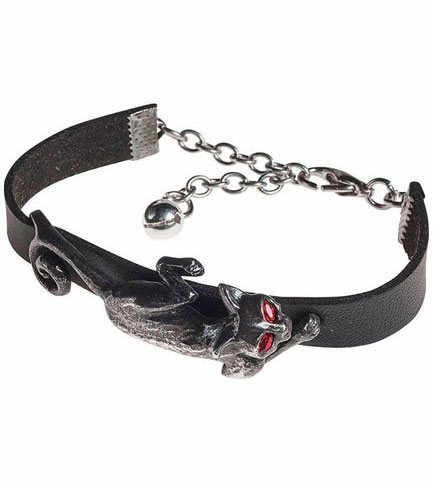 Crouched waiting the Cat Sith sets upon a leather bracelet. 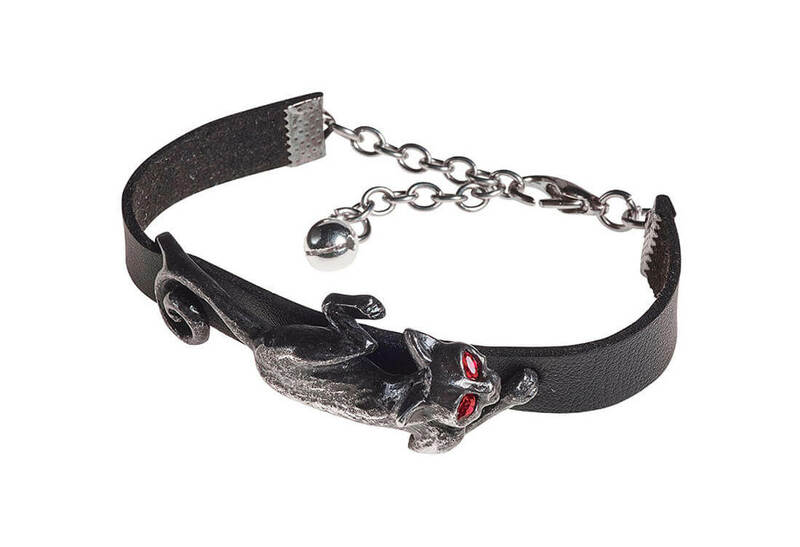 The almost glowing blood red eyes hold the devious mischievous tails of this black cat. Height 0.40" x Width 9.00" x Depth 0.50"